Does your office offer a water cooler to employees? If not, it might be time to start campaigning for one. Studies show that hydration increases functionality, so if you want your employees to bring their A-game, it’s important to provide them with the means to hydrate. 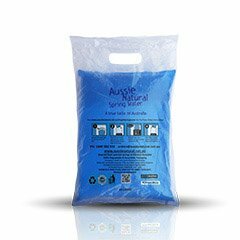 Aussie Natural Bag of Spring Water gives employees a quick and easy dispensing system that will allow for increased hydration with ease. Here are ten ways our Bag of Spring Water can encourage your employees to drink up. It’s free: Staff will be more apt to reach for water than spend money on soda. It’s refreshing: Water coolers are often designed to offer cold water, which can be invigorating during a slow day. It’s clean: Filtered water will encourage staff to drink up. It’s social: Water coolers provide an area for workers to meet up and build relationships. It’s productive: Water is filling and will help to reduce snack breaks. It’s inviting: Having water to offer visitors creates a welcoming environment. It’s therapeutic: Running or still water creates a soothing visual. It’s wet: Help employees avoid dry mouth and keep communications sharp. It’s environmentally sound: Water coolers discourage disposable water bottles that adversely impact the environment. It’s accessible: Well-positioned water coolers allow employees to refresh and return to work quickly, instead of visiting a cafeteria or vending area.